Added the green blinking animation to when a creature has to be played to progress the game. 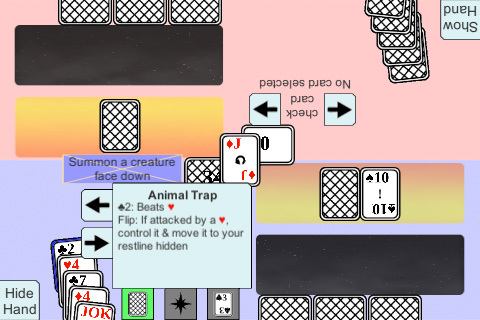 A prompt appears to remind the player and if the hand is hidden the ‘hide/show hand’ button will also blink. The ‘play hidden’ button only blinks if the card is a creature and therefore playable. There are still some things to fix up like removing the blinking after the button is pressed but it seems to be working.